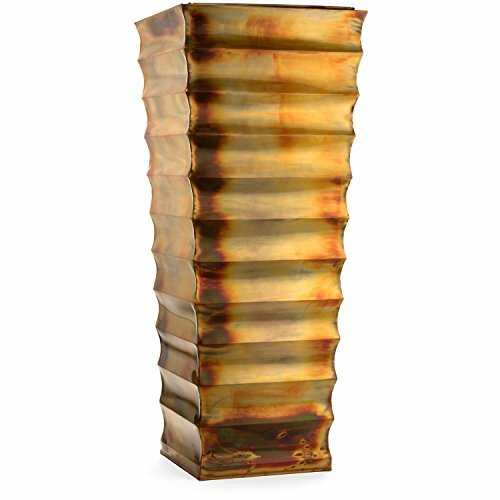 Large indoor outdoor flower planter is approximately 14.75 inches square at widest and 36 inches high, base of planter is 10.75 inches wide and depth of planter insert is 11 inches. Brushed Stainless Steel Planter - Extra Large - 24" diam. x 20" ht.